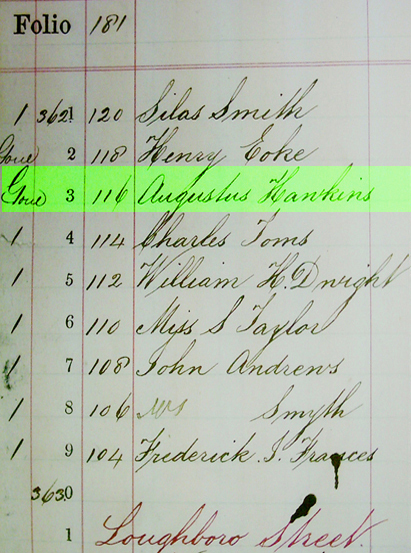 Above is the 1871 census which shows George Musgrove living with his first wife Christiana and daughter Christiana. Note that his uncle Henry Cole's mother Eliza Cole is listed as visiting the family. There is also a servant named Sarah Aldrige. 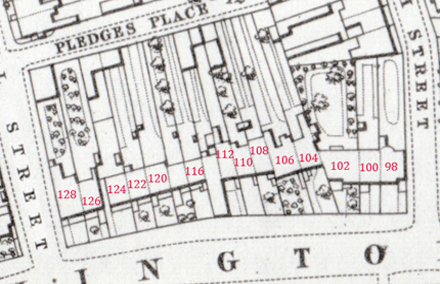 They are now living at 116 Upper Kennington Lane Lambeth. The two extracts below are from rate books dated April and October 1870. 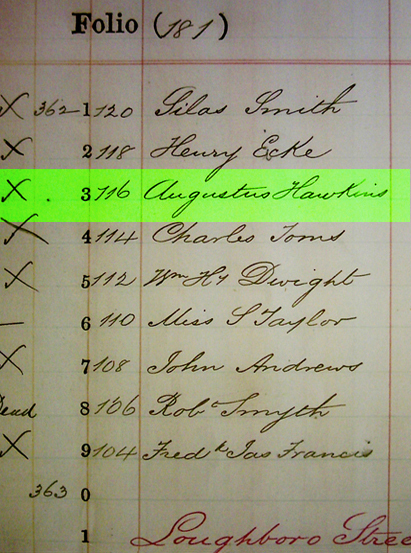 George had not yet moved in at this time as 116 was occupied by Augustus Hawkins. The bottom document is the 1871 rates list dated April 6th 1871 which shows George living at 116. 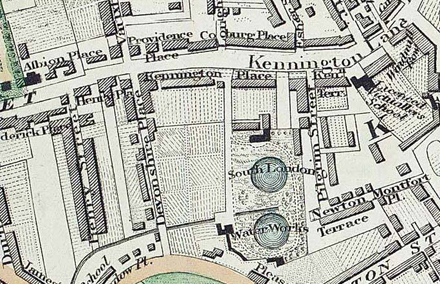 The map on the left shows where in Kennington Lane George's house was, roughly in the centre. It is now a Shell petrol station.